Welcome to Redwood Springs Healthcare. Redwood Springs Healthcare Center is proud to be a Medicare-certified, short-term rehabilitation and skilled nursing home located in Visalia, California. 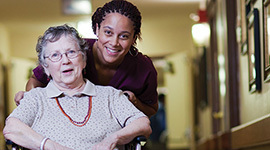 We offer short term rehabilitation and nursing services. We also love and care for our long term memory care residents. 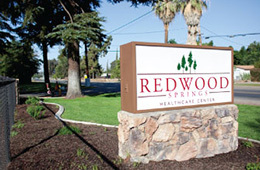 Redwood Spring is the ideal place to continue to heal once your hospital stay is complete. Check in with us to determine how our physical, occupational and speech therapists can help your situation.